Need someone to talk about my wife's drug use? I am looking for a group or someone to talk to about my wife's drug habits. We have been together 30 years and her drugs are making it real hard to stay with her and she will not talk about it with me. I work long hours every day and come home to a person I don't even know anymore. I really need someone to talk to. Comments for Need someone to talk about my wife's drug use? May want to start with your doctor? It sounds like your wife may be struggling with a very serious addiction problem. If this is true, the best place for you start may be your doctor. Drug addiction attacks the brain and convinces us that we must use. Also, the more we use the more our body develops a tolerance for the drug so that we must use more and more to get the same effect. Since you have noticed these changes in your wife over a period of time, it sounds like her addiction may be getting worse. Please consider going to a doctor and discussing her symptoms so that the doctor can advise you on the best course of treatment for your wife. You should also consider finding Al-anon meetings in your area and joining these meetings. Al-anon is a great place to meet people who have helped their loved ones to overcome addiction. 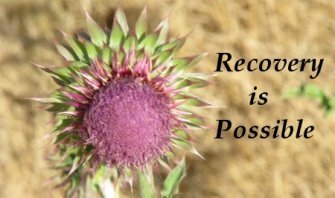 When you need someone to talk to about addiction, Al-anon is a great place to start. Do you have a question or story? It's easy to ask your question or submit your story. How? Simply click here to return to Opiate Addiction Facts.